Computer vision syndrome is a condition which is temporary. It is a state in which the eye is focused for a long period of time on the computer display. Computer vision syndrome has become a serious problem for people who work in front of the computer for a very long time. If this syndrome is not corrected on time it may have a negative effect on the vision. In the later stage, the symptoms get worse if there is no proper light in the room or air that passes the eye like a fan. How does Computer Vision Syndrome Occur? A few common symptoms of computer vision syndrome are blurred vision, neck pain, redness in the eyes, headaches, eye strain, irritated eyes, dryness, double vision, problem focusing and polyopia. Headaches are very common symptoms of computer vision syndrome. Visual headache is usually experienced in front of the head and it mostly happens at the end of the day. Many workers get headaches known as tension headaches. This occurs as a result of stress, depression, anxiety or even other conditions of the eye. 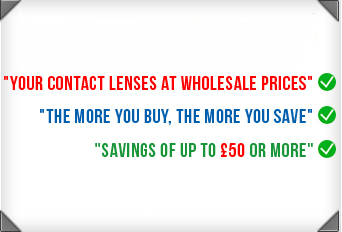 A proper examination has to be done and usually eye specialists suggest using glasses or contact lenses. Eye strain is a common problem. People use different terms to explain it. With continuous gazing at the computer or television, eyes get tired and strained. Eyestrain is also known as asthenopia. Eyes become uncomfortable and the person experiences irritation and pain. Asthenopia is caused by problems like hyperopia, focusing spasm, myopia, astigmatism, voluntary focusing, excess light and coordination problem of the eye. Blurred vision is also known as visual acuity. In visual acuity, a person is not able to differentiate between two prominent points from a particular distance. When we gaze at an object that is at a distance, our focal power needs to be strong on the retina for a clear image. In a similar way, this problem is experienced in computer vision syndrome. When a person works for a long time on the computer, the vision becomes blurred and he does not get a clear image of the object. Eyes are designed in such a way that they control the light entering the eye. There are many conditions that affect the vision and one such condition is light. Eyes are sensitive and working for a long time in front of the computer causes problems. Sometimes there are disparities in the brightness when a person is viewing. It is always better to avoid direct contact with bright light as it causes more harm to the eye. In such cases it leads to computer vision syndrome where a person cannot gaze directly at the computer. In computers, the light is reflected from fluorescent fixture from a wide angle in which light directly enters the eye of the user. Computer vision syndrome also leads to double vision. When a person is viewing the computer, any object that is near is converged by the eye muscle towards the nose. This helps in maintaining a coordination of both the retinas. When we are unable to lock the object, that’s when the misalignment happens and a person can see a blurred vision. Because of excessive working on computer, a person develops computer vision syndrome. Limiting oneself from working continuously will prevent this syndrome. Once you know more about it you’ll no more want to stress your eyes on the computer.